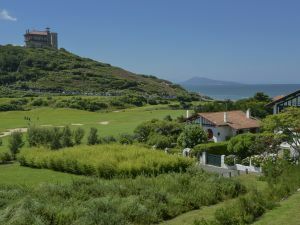 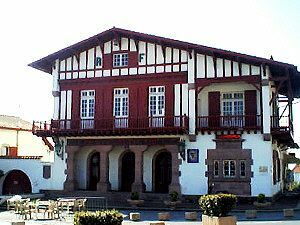 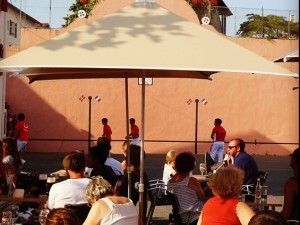 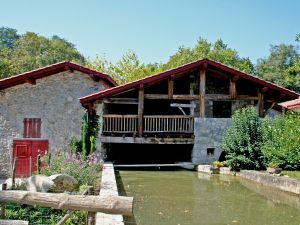 Bidart is a small hill top town located between the road to Saint Jean de Luz and the sea, with charm and tranquility in abundance, no hustle and bustle here in comparison to the larger resort town of Biarritz, just on its doorstep to the North. 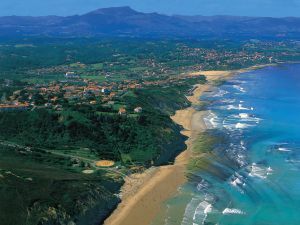 Most of the beaches are found at the base of a cliff (which, even in the height of the summer are not crowded), with the exception of two, the Plage d'Ilbarritz and Plage de l'Uhabia which are large open normal beaches. 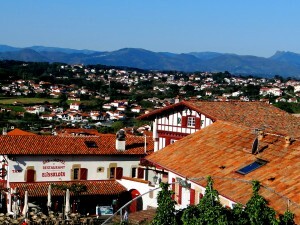 The principle Architecture here is typically Basque (as the Mairie picture), white facades, Basque red shutters and colombage timbers and red pan-tiled roofs (when the sun is shining, the brightness from these houses is astounding), all the way from Bidart to Saint Jean de Luz and Hendaye.